IPL 2018 DD vs CSK live streaming will be available on the portals of the official partners for the tournament. You can watch live cricket match today online on Hotstar, Jio, AirTel, and Star Sports. Delhi Daredevils vs Chennai Super Kings is the 52nd of total 60 games to be played in edition of annual cricketing extravaganza. This is the season 11 of Indian Premier League. 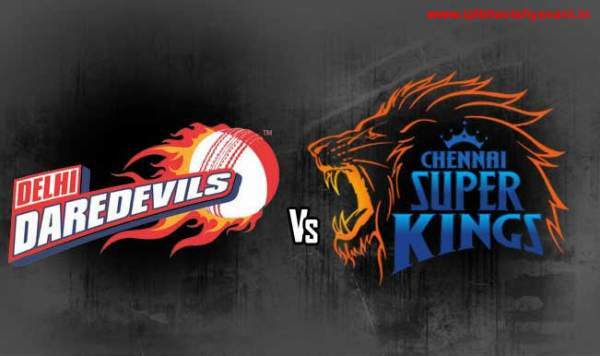 Today’s match of IPL t20 CSK vs DD will start at 8 pm IST as usual, with toss taking place at 7:30 pm IST. The 30-minute time gap is given everytime to get the match going on the ground. You can catch the live updates on TV via Star Sports, the official broadcaster. Before this particular match, the statistics of IPL 2018 points table regarding the two teams are as follows. Chennai Super Kings stands at number 2 with 16 points in 12 matches so far – winning 8 and losing 4. On the other hand, Delhi Daredevils ranks last, i.e., 8th with 6 points in 12 games, too, – winning 3 and losing 9 so far this season. If you have access to the television, then you can go for English commentary on Star Sports 1 / HD and Star Sports Select 1 / HD. And if you feel comfortable with Hindi, then your channels to switch to are Star Sports 1 Hindi / HD. However, if you don’t have the luxury to the TV due to some reason, then also you don’t need to worry. In case a case, you can always opt for 2018 IPL free online live streaming option. The IPL matches will be streamed live on Hotstar.com, Hotstar app, Jio TV app, and AirTel TV app too. So, you see, you have got a lot of options to work out with. Today’s match is a home game for Delhi and will be played at Feroz Shah Kotla stadium. Super Kings has won the toss and decided to bowl first. So, Daredevils will be batting first. Chennai is eyeing the top spot in the standings table if it happens to win today. On the other hand, the hopes for DD getting in the IPL 2018 playoffs have been dimnished completely. There is no scope for Delhi now. The opening duo for Chennai – Ambati Rayudu and Shane Watson have been playing sensibly. The middle order also looks sorted as Suresh Raina, MS Dhoni, and Dwayne Bravo have contributed handsomely.